Direct vent gas stoves, fireplaces and inserts are the safest, most efficient category of gas hearth appliances. A natural draft appliance takes combustion air from the room where it's installed (the way a wood burning fireplace or wood stove works), sucking heated air from the room to feed the fire. 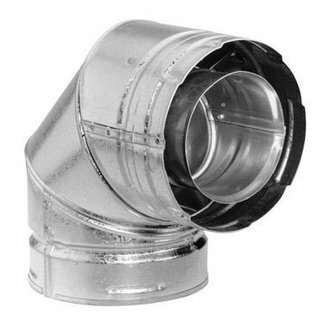 A direct vent gas appliance uses a co-axial double wall pipe system that brings combustion air in through the outer chamber of the pipe and sends fumes out through the inner chamber. This results in a perfectly balanced air movement system for a beautiful and efficient fire. 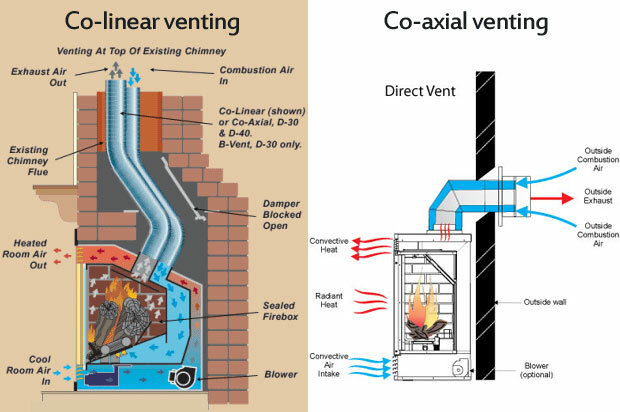 Direct vent gas appliances can vent horizontally and terminate on the exterior wall, or the pipe may be installed vertically and terminate above the roofline. Each fireplace or stove model will have requirements on combinations of vertical and horizontal pipe because longer horizontal pipe runs need an extra volume of combustion air to aid the air flow, so consult the installation manual for allowable pipe configurations. 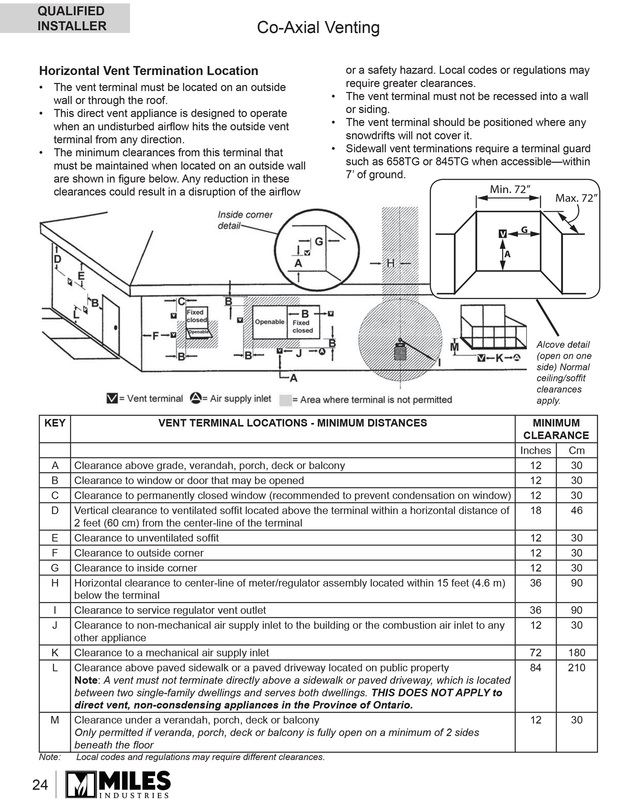 This diagram below is from the NFPA-54 code book and shows required clearance from doors, windows, etc. Once you know if you need to add extra vertical pipe for the horizontal distance you're installing, this chart will help make sure the termination point is a proper distance away from soffits, balconies, etc.